The Canadian Geotechnical Society (CGS) in collaboration with the International Association of Hydrogeologists (IAH/CNC) and the North American Geosynthetics Society (NAGS) invite you to GéoMontréal 2013, the 66th Canadian Geotechnical Conference and the 11th Joint CGS/IAH-CNC Groundwater Conference. The conference will be held at the Hilton Montreal Bonaventure Hotel, Montreal, Quebec, Canada from Sunday, September 29 to Thursday October 3, 2013. 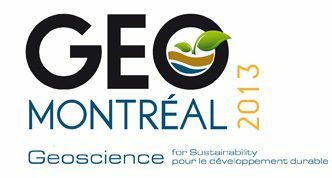 The theme for GéoMontréal 2013 is “Geoscience for Sustainability” and will examine how our three associations invest in the progress necessary to create an innovative and prosperous economy that is ecologically and socially responsible. The organizers intend to weave the conference theme throughout the technical program and social activities and to remind delegates of this important goal in our professional work. The official languages for the conference will be French and English. Montreal is a city of contrasts, situated on an island with a unique character! Both cosmopolitan and cosy, our metropolis is a window to the world. Full of flavour, it is a mix of deep-rooted traditions, diverse cultures, and languages. The charms of old Europe and the energy of modern North America both radiate from the heart of the city, but it is Montreal’s cultural blend that give it such a unique feel. The Hilton hotel in downtown Montreal borders the city’s economic hub as well as the iconic old port. Sights like the Museum of Fine Arts and the Notre-Dame Basilica are within walking distance. 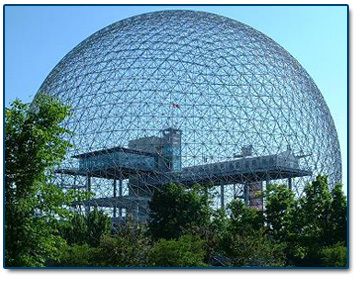 Delegates and their guests may also choose to visit numerous tourist attractions during their stay, such as Saint-Joseph’s Oratory, the Casino de Montréal, the Olympic Park, the Biodome, the Insectarium, and the city’s brand new Planetarium. GeoMontreal 2013 is pleased to support the 4th Canadian Young Geotechnical Engineers and Geoscientists Conference, October 3-6 in Mont Tremblant, Quebec. For more information go to www.cygegc2013.ca.